Anyone trying to make a gingerbread house for the holidays this year can pretty much give up right now. Just eat everything instead because no matter what you do, you can't possibly top the artistry of these gingerbread museums. Designed by Caitlin Levin and Henry Hargreaves for Dylan's Candy Bar, they capture the world's most famous museums in all their delicious beauty. Spotted by Colossal, these gingerbread museums should be in museums themselves. 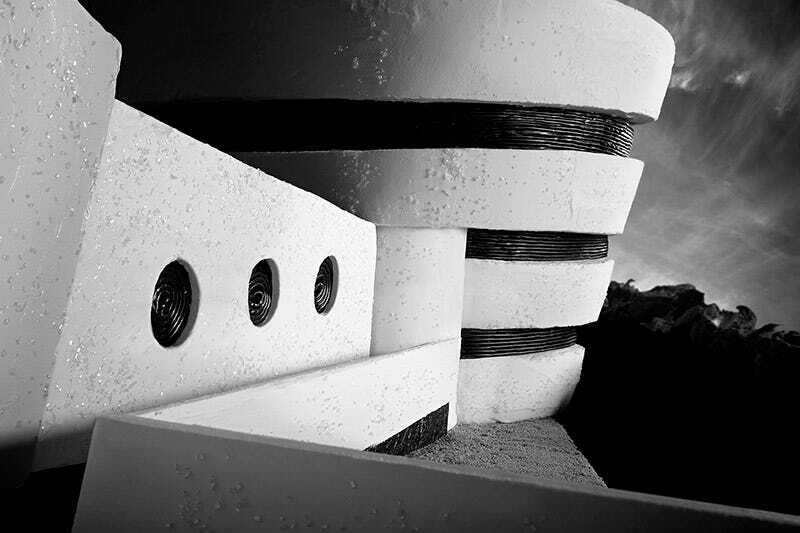 There's the Guggenheim in New York made with icing, gingerbread, cotton candy, candy wrappers, licorice and sugar. The Louvre uses gingerbread, hardy candy and licorice. The Karuizawa Museum in Nagano? Chocolate, gingerbread, hard candy, cotton candy, sour flush. My favorite might be the Museo Soumaya in Mexico City though. That's made from candy balls, gingerbread, sour rolls and taffy. Yummy.